Stop by and meet our amazing staff! All of our staff here at The View is committed to making your time with us as enjoyable as possible. No matter what time and day of the week you stop by, the staff on duty is always ready to help. Here at The View we love to give back to our community. Whether the cause is the Special Olympics, Big Brothers Big Sisters, Alzheimer's disease, Autism, Cerebral Palsy, Boy Scouts, or our local firemen units, we love to help in any way we can! Keep an eye on our events page for our charity events and sponsorships! Want to learn more about us? You can follow us on any of our social media sites. Follow the links below to get started! If you are looking for something to do this weekend, come on down to The View to check out one of our many music events. The View has music every weekend. 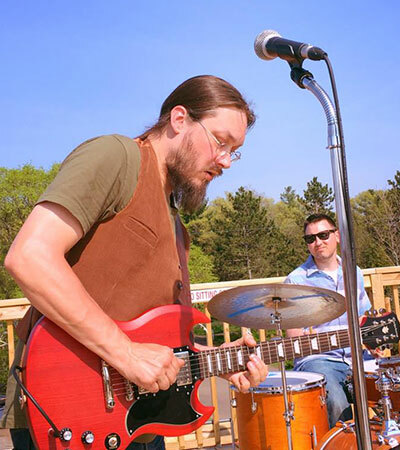 Whether it is an amazing live band, or a talented, entertaining DJ, you are sure to have a fun time! Come down on band nights to meet some of the Shot Girls! The View offers a wide variety of entertainment Games, Contests, Radio Bingo, and More! No matter what your taste, The View has an event for you. 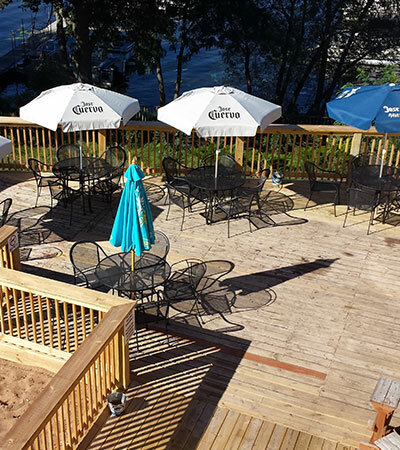 Come on down for sporting events and watch on one of our 20+ TVs. Or enjoy the game on our 12 ft projection screen! Cheer on the Packers while enjoying food and drink specials! If you want to relax and win some prizes, The View is also home to many fishing and ice fishing tournaments and contests. Check out our upcoming events for more details. Photo Op! 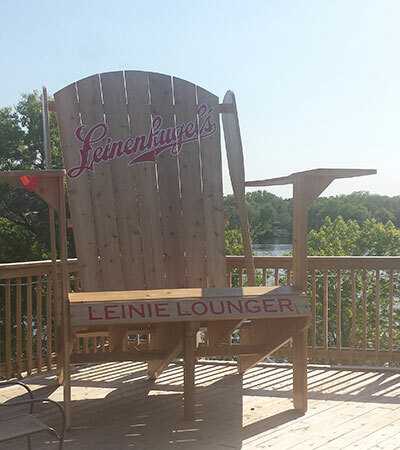 This summer, The View has installed an oversized Lienie Lounger for everybody to come and enjoy. Don't miss your opportunity to take pictures of you and your friends on this local treasure! Visit our facebook page for upcoming events and shows! Give us a like and follow us to stay up to date on events, specials and deals!